I am so excited about our new holiday collection from Chris, I think you will be too! 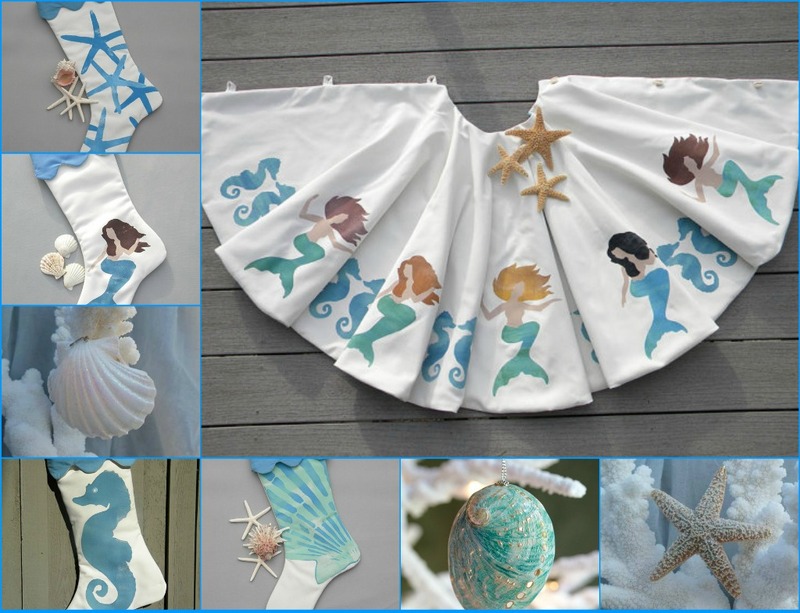 I asked her if she'd like to write a guest blog post explaining her inspiration for her designs, and she was more than gracious to stay up late one night, typing, when I know she'd rather be painting! This is her story, in her words sent over to me. As a fellow Pacific Northwest girl, I can totally understand why she's inspired by the scenery, and lifestyle in the Puget Sound. These stockings are only a small selection of her fabulous holiday collection! It’s true, what they say about self-employment: When you work for yourself, you only have to labor half a day; then you can do whatever you want in the remaining twelve hours. Aside from the requisite six hours of sleep, I must have my recommended daily allowance of beachwalking – for research, of course, for my handpainted beach-inspired pillows. The R&D process takes me to water’s edge; here I draw inspiration from the fascinating life forms, colors, sights, scents and sounds of the place where the ocean meets the land. 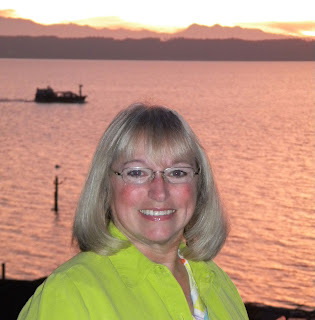 Living on an island in Puget Sound, I am sensitized to the rhythms of nature, the water’s ebb and flow, the angle of the sun, the calls of the seabirds. I love to paint images of the creatures with which I share this beautiful locale, and also those that populate the exotic places I have yet to experience. 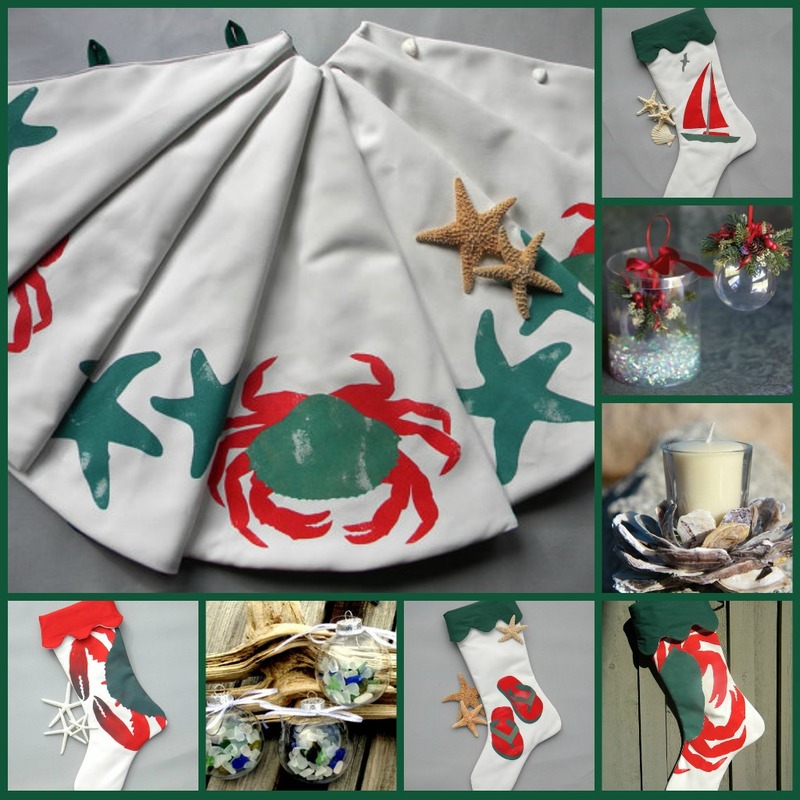 When our amazing shrinking family moved to our beach house a few years ago, I began doing lots of “beachy” activities – assembling Adirondack chairs, sewing crustacean quilts, and painting pillows for our sundrenched deck. Soon our neighbors noticed our bright-colored crab pillows and wanted some of their own. One day I asked a local shop owner if my painted pillows might help market her colorful outdoor furniture. They did, and suddenly I was painting and sewing pillows six days a week. You can usually tell what I’ve been working on from the color of paint under my fingernails. When on the beach I sometimes lose track of time. I've never seen a piece of driftwood I didn't like. On really busy days, I forget to apply makeup - sorry. They say confession is good for the soul. I must admit I feel a little better coming clean, but I sincerely hope that others not become unduly burdened by these disturbing revelations. The next time you see a sunburned blonde with paint under her nails, please be kind. She doesn’t get much sleep. I put together these collages of coastal holiday decorating ideas - all featuring Chris' awesome tree skirts. I have never seen any beach house decor done like her designs, all finely finished - they will last a lifetime, and will become treasured family favorites. I call this collection Nantucket - with the nautical touches of miniature striped buoys and bright green lobsters, and candy cane striped lighthouse stockings. 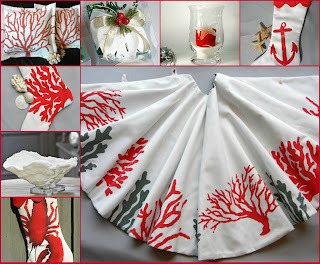 Highlighted with corals, red and white decorations - this would be an easy look to complete for your shore holidays! 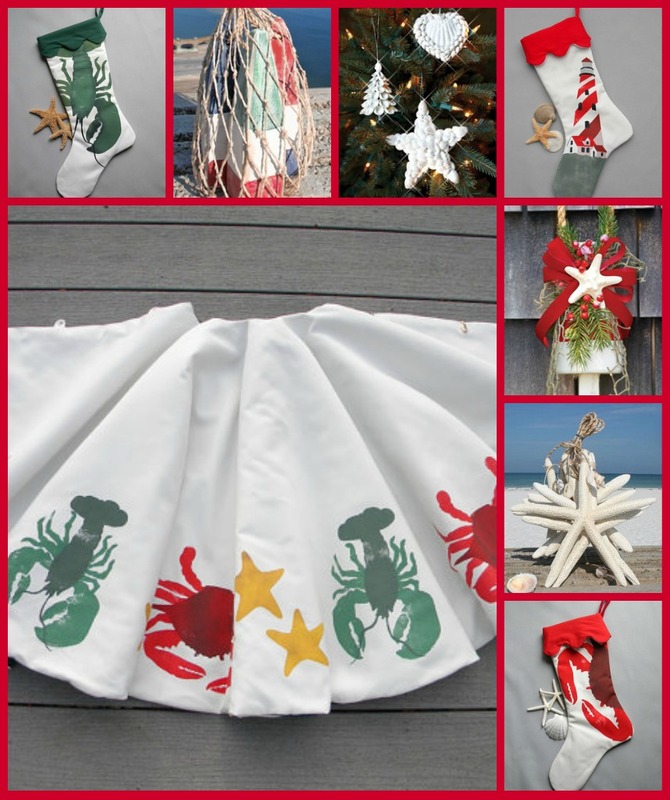 All of these coastal holiday decorating ideas can be found online in our Beach Coastal Holiday Category! As a fellow beachcomber I feel you pain. The R&D process can be just grueling :D I spent the entire morning slogging through all the surf & shells at the beach. I think I found my new tree skirt. ps - I prefer Dungeness too. So fabulous! And what a great idea to create a Christmas decor line. Must sell like cupcakes! Love the coral, and mermaid line. How to decide. I must admit I giggled through the confessions, I too harbor many of the same. It's so nice to see such beautiful work. 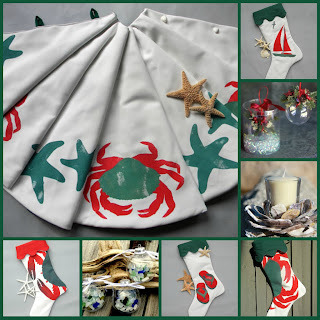 those starfish stockings are beyond cute!